Any educational program is only as good as the people who create and deliver it. That is why Kaplan Financial Education has assembled the most effective, well-respected, and talented team of instructors and subject matter experts to provide you our industry-leading securities exam prep instruction. You can trust that our best-in-the-business educators will go the extra mile to ensure you are fully prepared for your securities exam. Kaplan’s faculty for securities exam prep consists of close to 50 financial services professionals who not only teach, but in every case have significant industry experience. Members of our team are former New York Stock Exchange members, past owners of training companies, and individuals who have sat on various exam committees. They bring their relevant and timely real-world experience into the classroom, and their enthusiasm is unparalleled. Adam is an instructor for Kaplan's Series 6 and 7 courses. In addition to teaching, Adam also writes Kaplan's curriculum for the Series 79 and Series 99 examinations. Outside of his work at Kaplan, Adam has worked in many different areas in the securities industry. He started his career as a trading floor clerk on the Philadelphia Stock Exchange and subsequently became an institutional trader, compliance officer, financial and operations principal, and chief operating officer at both NYSE and CBOE member firms. Adam has also contributed as a member of the OCC's Option Symbology Initiative. Adam was awarded his BS degree in economics from Brigham Young University. He is currently working toward his master’s degree in accountancy from California State University, Sacramento, and is a CFA Level 2 candidate. Barbara began her career in the financial services field in 1988, starting in the insurance industry. She quickly rose to rookie of the year and received the president’s citation her first year in the business. She earned her Life Underwriting Training Fellow Council (LUTCF) by attending 300 hours of classroom study by 1990. The experience was so satisfying that she went on to become a moderator for LUTCF in her spare time. Barbara continued her studies and earned her Chartered Life Underwriter (CLU) designation in 1993, as well as her Chartered Financial Consultant (ChFC) designation in 1998. In 1998, Barbara began working with stockbrokers and attorneys doing advance estate planning for their high net worth clients. This led to her earning her Series 7 and Series 65, enabling Barbara to become a stockbroker and investment advisor representative. She also continued to moderate insurance and NASD classes. In 2000, Barbara took a position managing a local Registered Investment Advisory Firm, where she gained experience with asset management. In 2003, she opened her own Registered Investment Advisory Firm. Brad has been in the financial business for 19 years, including 17 years with MetLife. He has held positions as a sales rep, sales manager, computer specialist, business plan manager, marketing coordinator, assistant to the managing director, training director, and recruiting director. Brad started his training with Kaplan in May of 2010, He currently teaches the Series 7, Series 6, Series 63, Life and Health Prelicensing in Wisconsin and Illinois, Health Prelicensing in Missouri, Kansas, and Colorado, and Property and Casualty Prelicensing in Wisconsin, Illinois, Arizona, and Massachusetts. Brian has been an instructor with Kaplan Financial Education for over 10 years. He teaches prelicensing insurance classes in Life, Health, Property and Casualty, along with securities classes in Series 26, 6, 63, 65, 66, and 7. Brian also teaches numerous continuing education classes for Kaplan. Brian entered the insurance and securities industry in 1990 with Prudential Insurance Company of America. During his time at Prudential, he obtained his LUTCF designation from the National Association of Insurance and Financial Advisors. Brian became an instructor for the LUTC program, moderating many of the classes. He was very active in NAIFA, becoming education chairperson, secretary, vice president, and eventually president of the Macomb County NAIFA. He left Prudential to become an independent agent, providing products and advice in insurance and security planning. Brian obtained a BBA in accounting and business management from Aquinas College in 1986. Curt Anderson has over 30 years’ experience in the financial services industry He began his career as an independent insurance agent, but transitioned to the securities industry where he held positions ranging from product line management to sales and investment advisory management. He was a licensed insurance agent and has held Series 3, Series 7, Series 24, Series 53 and Series 65 registrations. At Kaplan, Curt has been an insurance and securities instructor, faculty manager, insurance continuing education manager, and a subject matter expert in the areas of securities, retirement planning, and insurance continuing education. Curt holds a BA in finance from St. Cloud State University. Daniel has been in the financial industry for over 20 years and has been teaching securities and insurance licensing classes at Kaplan for the last 10 years. Daniel teaches the Series 6, 7, 63, 65, and 66 securities classes, as well as the Life, Health, Variable Annuity, and Long-Term Care insurance classes. Daniel enjoys working with Kaplan because he believes they are the industry leader and do the best job at staying current with the content of the actual tests. He makes his classes interesting by engaging the students and encouraging them to ask questions. Daniel always makes himself available to his students and is committed to doing everything he can to help them pass the exam. Dave has been in the securities industry for many years, first as a registered rep, and most recently as an instructor for Kaplan Financial. Dave teaches Series 6, 7, 24, 26, 63, 65, and 66. Prior to his association with Kaplan, he was the proprietor of his own firm, which conducted licensing training classes for the public and clients around the country. Dave is a former member of the NASD Board of Arbitrators and a graduate of the University of Massachusetts at Boston. Dean has been in the securities industry for over 23 years. He is a senior instructor with Kaplan Financial Education and teaches securities courses, with a special emphasis on private tutoring to senior management. Dean is currently the managing member of a San Francisco-based FINRA registered broker/dealer. His broker/dealer specializes in investment banking and private placements for leading sponsors of private equity, venture capital, and hedge funds. He began formation of his broker/dealer in 2007, and since formation, his clients have committed nearly $2 billion of capital to alternative assets. Dean presently holds the following FINRA registrations: Series 7, Series 24, Series 27, and Series 66. In his past broker/dealer employment, he has also held Series 53 and Series 4. Don joined Kaplan Financial Education in 2003 as a part-time insurance and securities instructor. He currently teaches prelicensing courses, in addition to continuing education, for both industries. Don conducts live classroom classes in Life, Accident and Health, as well as Series 6, 7, 24, 26, 63, 65, and 66. Prior to going into semi-retirement and becoming an instructor with Kaplan, Don was the corporate vice-president of domestic marketing for an international financial services firm with home offices in Texas. He began his career in financial services over 50 years ago, when he sold life insurance and mutual funds while obtaining his bachelor's degree. Don is a Vietnam Veteran and was the Commanding Officer of a helicopter company in the 1st Air Cavalry Division. Don earned his BA in 1958 from Syracuse University, his MBA in 1983 from the University of Houston, and his PhD in 2005 from Rocklands University. Gerry has over 30 years of Wall Street experience and subsequent 13 years experience as a securities educator. His ability to blend traditional principles, as well as modern product application, make him a field expert. Due to his extensive background, the largest firms on Wall Street have sought him ought to teach and consult everything from entry level employees to senior executives. He is versed in giving seminars and classes to schools, board room environments and one-on-one sessions. Gerry has been a Kaplan Securities Instructor for 10 years, including classes taught in Series 7, 6, 63, 24, 26, 65/66, 4, 9/10, and 53. He specializes in the education of product, theory, and structure with regards to the securities industry. His passion for instruction, the market, and golf are second only to his passion for his family. Gib has been a registered representative at various New York stock exchange member firms, as well as a branch manager or assistant branch manager. He has held Series 3, 7, 9, 10, and 24 registrations. Since 1987, Gib has instructed 17 different courses during his time at Kaplan Financial. He has also held positions as regional and national training director. As a national training director, Gib conducted over 50 technical and presentation skill seminars for groups of Kaplan securities, real estate, and insurance instructors. He developed or co-developed the following classroom student notebooks: Series 3, 4, 6, 7, 9, 10, 24, 26, 27, 28, 37, 38, and 53. James joined Merrill Lynch, Pierce, Fenner, and Smith in October of 1976, where he obtained a Series 7 General Securities Representative license and a State of Texas (Group 1) Life and Health Insurance license. He then moved to USAA in October of 1993 and continued working there until his retirement in April of 2009. James has been teaching with Kaplan for three years. He teaches the FINRA Series 6 and Series 7, as well as the state-related Series 63, 65, and 66. He also teaches the Texas Life and Health Insurance pre-examination course and a myriad of continuing education classes. James has 26 years of experience in the securities industry and has been teaching at Kaplan for over 10 years. Since 2008, James has also been the owner and managing director of JRS Investments and Wealth Preservation, LLC. He holds his Series 6, 63, 26, 7, 65, 24, and 4 licenses. When James isn’t working, he enjoys SCUBA diving, camping, and traveling. Jeffrey is a Securities Licensing Instructor for Kaplan Financial Education. He was first licensed in investment securities in 1986. He has previously held Series 7, 31, 63, and 65 licenses. Prior to joining Kaplan Financial Education, Jeffrey held the position of Associate Vice President, Financial Advisor with a large financial services company. During his financial career, he also held the position of an Associate National Bank Examiner with a government regulatory agency providing bank supervision. Jeffrey is a graduate of San Diego State University with a Bachelor of Arts in Liberal Arts and Sciences. He had earned the designation Certified Treasury Professional. 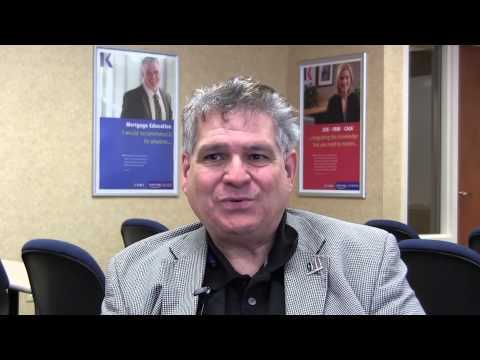 Jim has been teaching for over 42 years and has been with Kaplan for 16 years. Previously, he was the owner of Jim Nash School for 10 years. Jim has taught all series courses except Commodities. He estimates that he has taught over 1,700 classes with approximately 50,000 students during his long teaching career. Jim is recognized as someone who genuinely cares about student success, and he will do whatever is necessary to help his students achieve the goal of passing. Jim feels that Kaplan is the superior school in the industry, and he is proud to be part of the faculty. In helping students pass, he believes he is truly making a difference in the world. Lynn Nessa began her securities career in 1980 as a registered representative with a mutual fund company. In 1986, she became a registered representative with Shearson Lehman Brothers, a full-service brokerage firm. At Shearson Lehman Brothers, Lynn’s clients were invested in a wide variety of products, including mutual funds, corporate securities, limited partnerships, and insurance. In 1989, Lynn joined with Securities Schools and has since trained thousands of financial professionals in the rules and practices of broker dealers. She has been a securities trainer at STC and Ameriprise, and has been a contributing trainer to Kaplan for 16 years. Lynn currently holds a Series 7, 66, and 24 license. Marcus is currently an instructor of securities courses for Kaplan Financial Education. He conducts live classes and individual tutoring sessions for the Series 3, 4, 6, 7, 9, 10, 24, 51, 53, and 63. Prior to becoming an instructor, Marcus was a portfolio analyst for a superregional bank. Marcus earned a bachelor’s degree in economics from Harvard University in 1990 and began his career as a consultant with a Big 4 accounting firm. He became both a broker and an NFA-registered commodity trading advisor in 1994. Marcus was awarded the Chartered Financial Analyst designation in 2002. Robert has been an instructor for securities and life insurance licensing since 1989. At that time, Robert was part of the group of instructors at Jim Nash and Associates in Florida. Florida was a relatively new territory, and Robert dedicated his efforts to developing the securities training market in central and west Florida by acquiring contracts with the major broker dealers and banks in the region. In September of 2005, Robert was hired as an employee for Kaplan Financial Education, teaching securities licensing for Series 6, 7, 9, 24, 63, 65, 66, and Life and Health Insurance. After more than 20 years of teaching, Robert still finds it rewarding to receive phone calls, emails, and cards with a thank you message from one of his students who has made it through the exam. Robert graduated from Georgia State University College of Business in 1973. He currently holds the Series 7 license and maintains a financial planning practice, along with this wife. When he’s not working, Robert enjoys sailing and travelling to South America to visit family. Wayne has been in the brokerage industry for over 30 years, starting with E.F. Hutton as a Series 7 representative. He later started his own broker/dealer firm in Lowell, MA. Wayne hired several brokers and opened an additional branch office in New Hampshire. After six years in operation, Wayne sold the firm to A.G. Edwards and became a registered investment advisor, a license he still maintains today. Wayne joined Kaplan in 1991 as an instructor, starting part-time and eventually moving to full-time. Wayne has a BA in psychology and a master’s degree in secondary education. When he’s not working, Wayne enjoys tennis, church activities, riding his motorcycle, and spending time with his family. Wayne has been teaching for Kaplan for over 16 years. He currently holds his Life & Health license, as well as his Series 6, 22, 63, 7, 65, and 24 securities licenses. Wayne also earned his CFP certification in 1988. Wayne teaches Kaplan’s Life & Health Prelicensing, Series 6, 7, 63, 65, and 66, and is an adjunct professor at Virginia Commonwealth University. When Wayne isn’t teaching, he enjoys golfing, hiking, and bicycling.